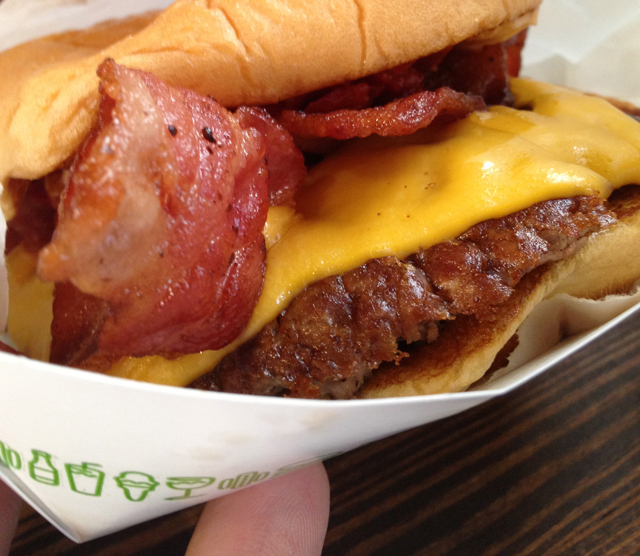 For those of you that are big burger fans, you'll be happy to know there's yet another iconic American burger joint opening in London. 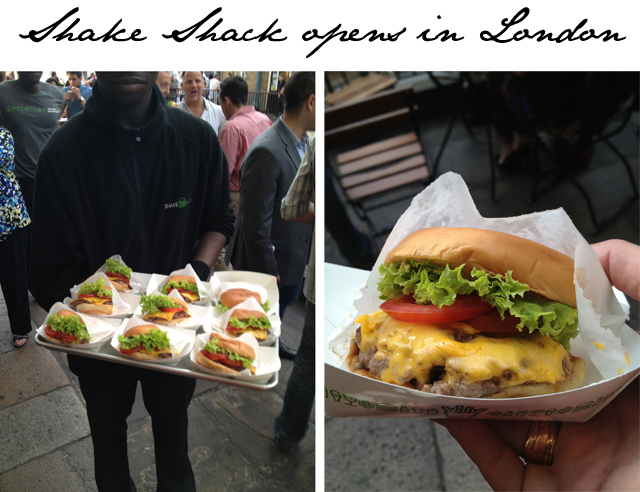 Last night in London, July 4th was marked with a very special occasion... the arrival of Shake Shack in London. 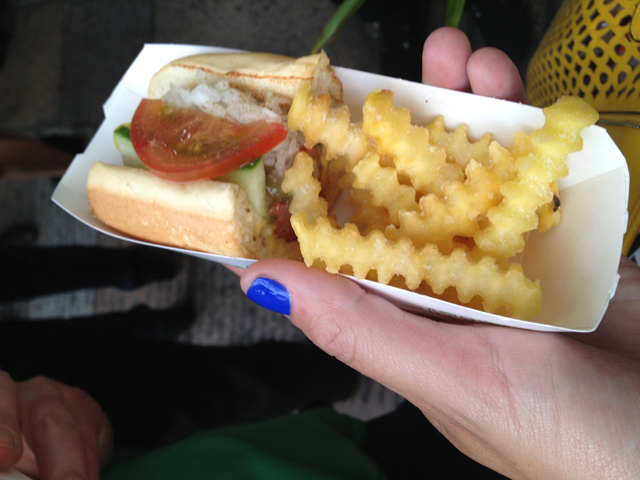 The American restaurant has long been a New York fashion week favourite for those of us visiting from across the pond. 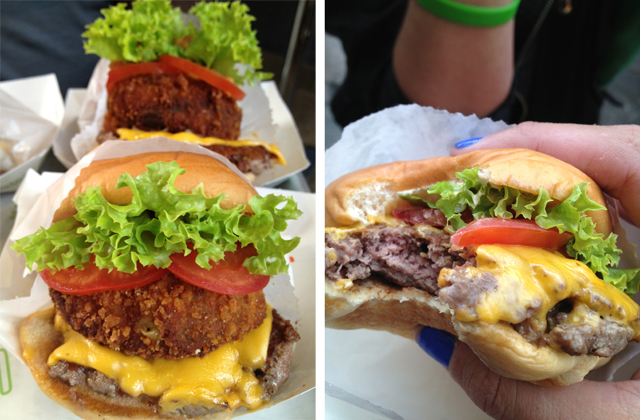 In fact, I think more Fashion Foie Gras meetings have been held at Shake Shack than any other restaurant in Manhattan. 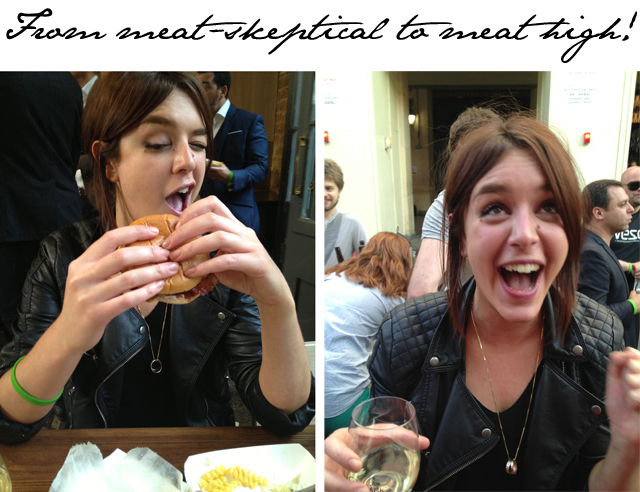 So naturally we had to be there when the first all beef patties arrived on the cobblestoned streets of Covent Garden. 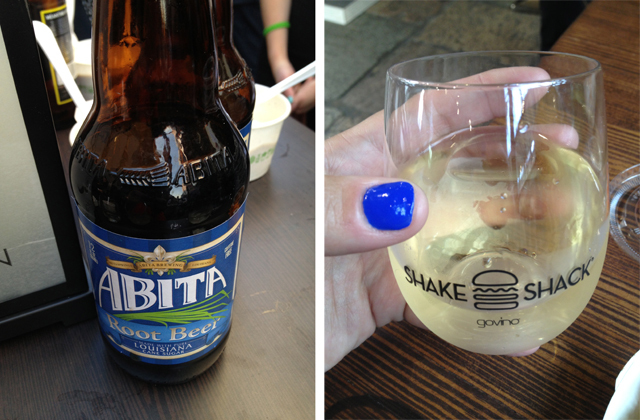 Upon arriving in the Covent Garden Market and walking through the security guarded barriers, we were greeted by dozens of friendly wait staff carrying trays full of burgers, hot dogs, fries, wine, root beer, regular beer and, finally, ice cream. It was quite understandable why such an event was so highly guarded, everyone wanted in. And I can't say I blame them. As people passed they couldn't help but stare as men and women made strange noises and even stranger faces as they bit into a slice of heaven. Even my mate date for the evening was acting rather strangely after our second burger declaring her desire to eat more, but being shut down by the "meat sweats." It turns out this is a very real condition which I would then experience a few minutes later. 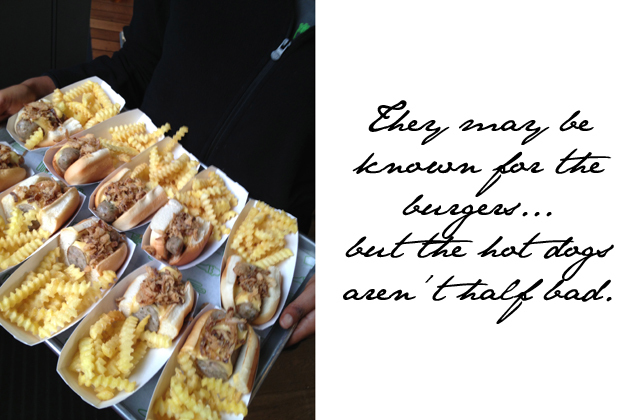 Apparently it isn't a good idea to eat endless burgers. We should have known better. One and a half burgers, half a hot dog, a basket of fries and two glasses of wine later, the sweet trays started to make their way around the party. 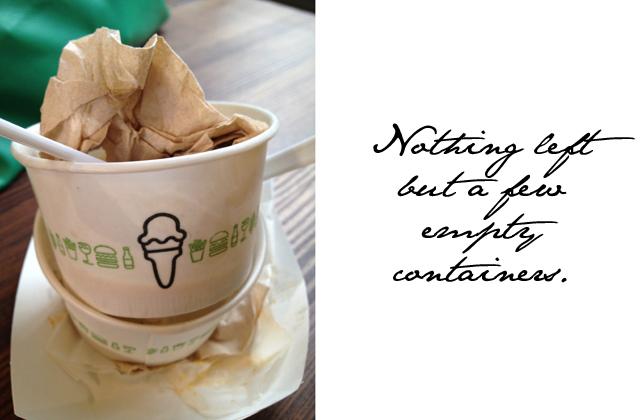 When someone presents you with a cup of doughnut ice cream you do not turn them down, no matter how full you are. That being said, both mate date and I agreed we wish we had worn maternity style jeans ( a la Joey from Friends) which would allow our stomachs to expand accordingly. 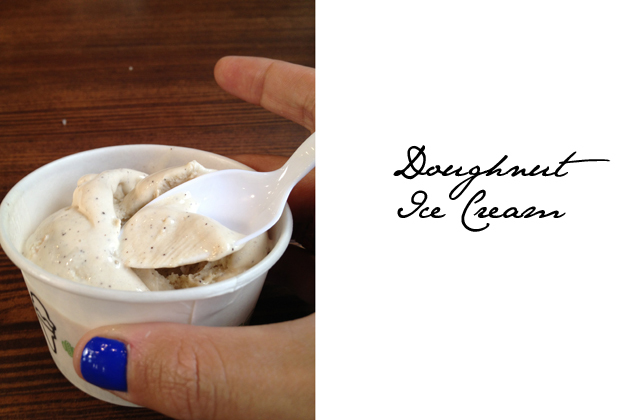 But really, the doughnut ice cream is not to be missed. It's of another world. In the end, I'm pretty sure I gained enough weight in one night to allow me to hibernate like a bear for an entire winter. Every single mouthful was well worth it! 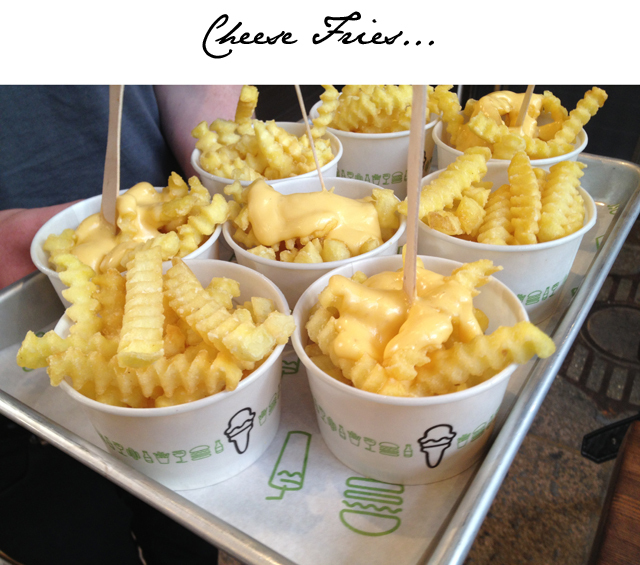 Check out Shake Shack London, opening in Covent Garden market from tomorrow, July 5th.